We started to think about all the delicious dishes we could use these ingredients in and put together a few of our favourite recipes to share with you. 1. Heat the grill on medium heat and brush the grates with oil. Mix the garlic, cumin, salt and half of the coriander in a medium bowl, add prawns. 2. 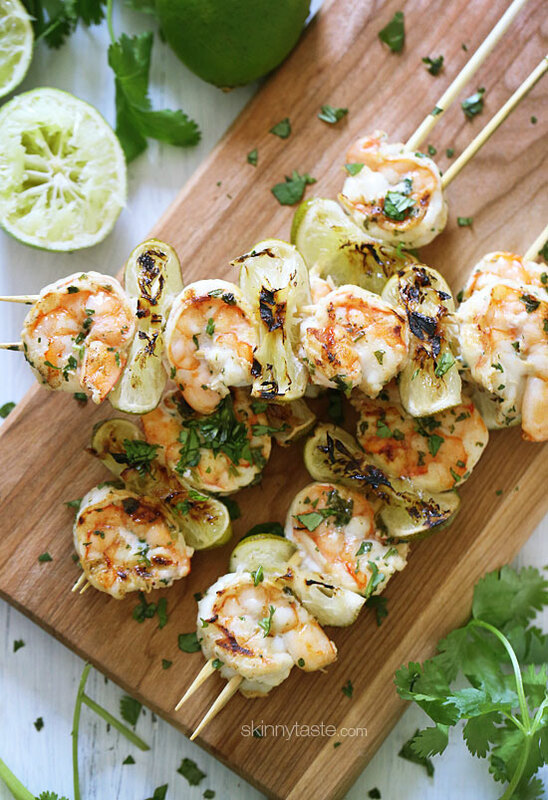 Beginning and ending with prawns, thread the prawns and folded lime slices onto 8 skewers to make 8 kebabs total. 3. Grill the prawns, turning occasionally, until they are opaque throughout, about 1 to 2 minutes on each side. Top with remaining coriander and fresh squeezed lime juice before serving. 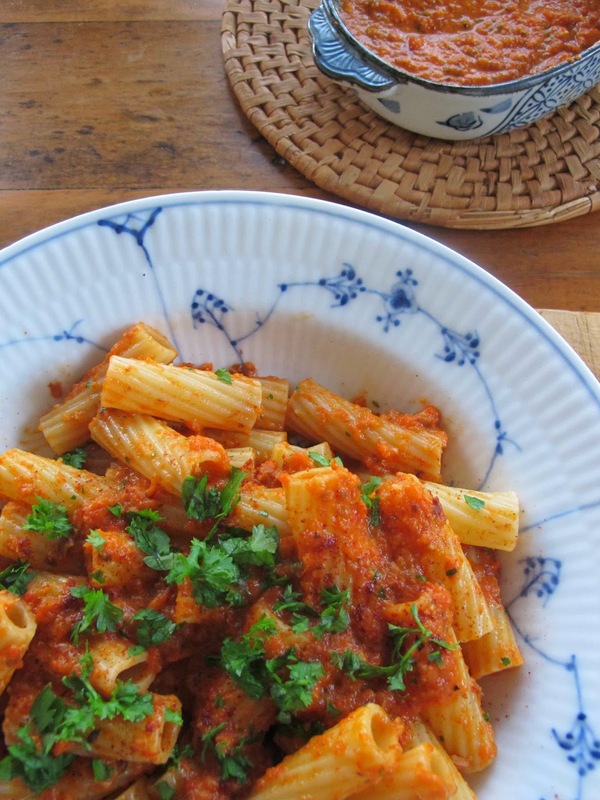 "I have a capsicum pesto pasta which I developed because I originally didn't like capsicum. So I made myself eat capsicum every day and ended up really loving it. This recipe is a great and easy alternative to a pesto pasta and contains an array of nutrients and anti-oxidents, like beta-carotene," says The Thoughtful Eater blogger Katinka Day. 1. Place the 3 capsicums on a baking tray and roast at 240 degrees celsius for 15-20 minutes or until the skins are blackened and blistery. Take them out of the oven and cool for 10 minutes with a tea towel or place in a plastic bag so that the capsicums sweat and are easy to peel. 2. Meanwhile, heat the olive oil in a small pan and gently sauté the garlic cloves, paprika and the whole chilli. Once the garlic is beginning to colour, take the pan off the heat (careful not to burn the garlic and paprika as this will ruin the whole dish). Remove the chilli and place oil/garlic/paprika mixture in a blender. 3. Remove the skin and seeds of the capsicums, saving any juices. Add the flesh and juices to the oil mixture in the blender along with the roasted almonds. Season with salt and pepper and blend to a puree. 4. Cook any variety of pasta you desire (I used tortiglioni) and once cooked mix in with the pesto with some extra olive oil if needed. Any remaining pesto can be stored in the fridge and enjoyed later! Thanks to Katinka for sharing this gorgeous recipe with us. Check out her blog, www.thoughtfuleater.org for an array of delicious and easy vegetarian and vegan food. 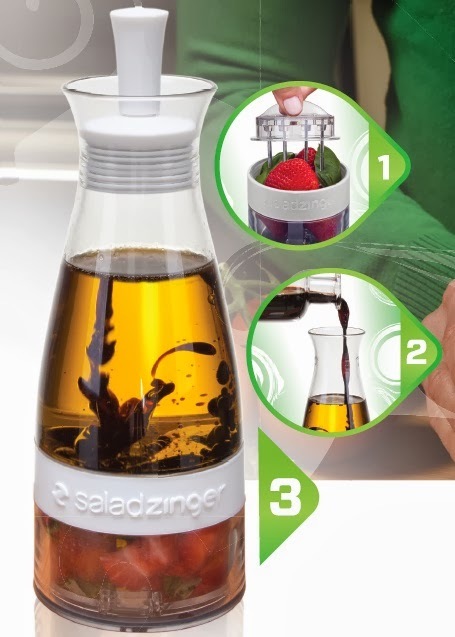 Infuse all ingredients in salad zinger and pour over salad when required. Nuts - preferable cashews but macadamia or peanuts can be used according to preference. Alternatively, dried noodles can be used instead of nuts for the crunch factor. 1. Wash and spin all ingredients except nuts/noodles and arrange on platter. Pour over infused oil and sprinkle nuts/noodles. Serve immediately. Mix all the ingredients and make into small patties and deep fry until golden brown on the outside. 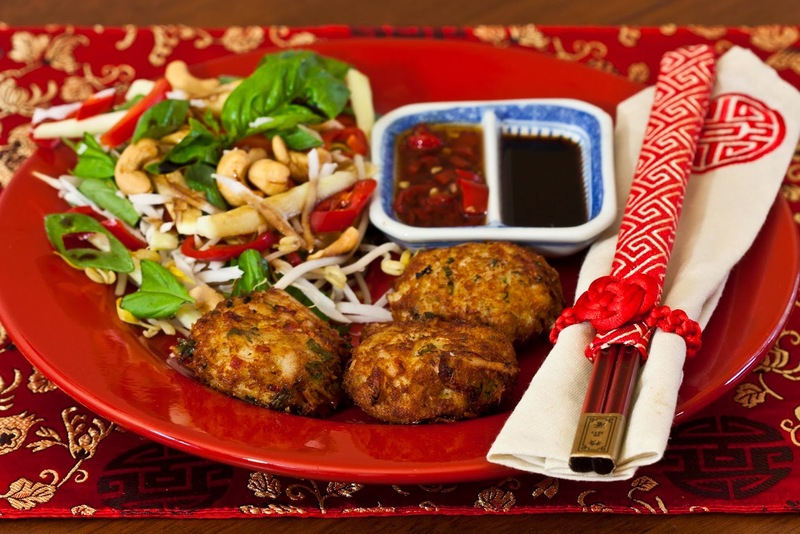 Mix together and dress with a mix of soy and fish sauce (easy on the fish sauce, 3:1 fish sauce. 1/4 cup of water with 1 heaped teaspoon of corn starch dissolved in it. Place 1/2 cup of water in sauce pan and dissolve sugar and start to reduce,. Add chilli, fish and soy sauce, and start to reduce. Add corn starch little by little until the right thickness is achieved. Taste and adjust to suit with more of the ingredients. Thanks to Robert Bousamra from www.lebanesefeast.com.au for this recipe. Check out www.girafix.net/apps/blog for more of Robert's delicious recipes. 1. Very simply…throw ALL ingredients in your blender/Stick Mixer and use the chopper to whizz everything around in a salsa frenzy! 2. Slap it in a bowl and serve with corn chips, smoosh it over your nacho’s, slather it in a burrito! It’s literally the easiest recipe I have thrown together and it takes no more than 5 minutes!